Today I sorted pattern paper. I LOVE pattern paper. Its a true love and addiction! 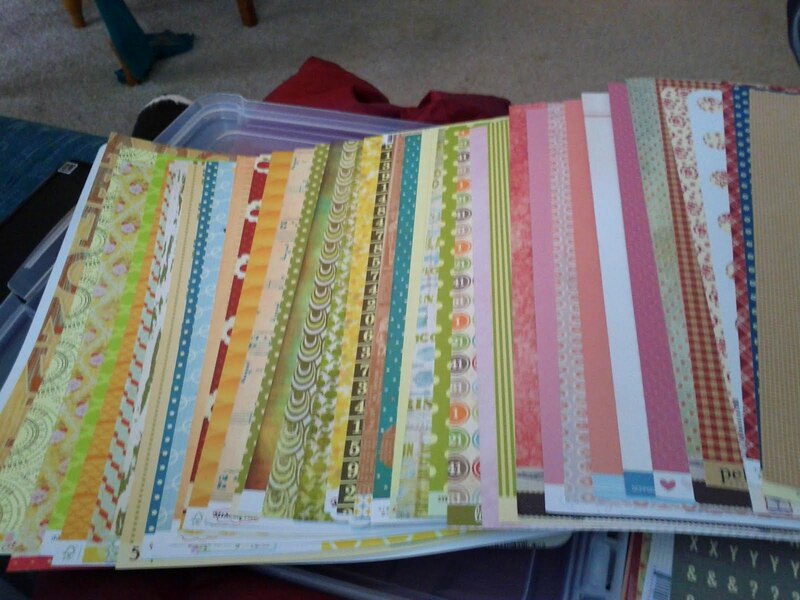 These pattern papers that I sorted are all from past Studio Calico kits and they are all WHOLE! I also have a ton of other paper so I was surprised to go through all these kits and find and sort the whole papers from the kits. 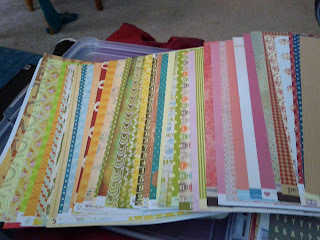 These are the papers of a girl who certainly doesn't need to buy any more scrapbook supplies EVER. Some of the papers I never used because they are too "special." Some of them I just lost track of or never found the perfect place to use them. 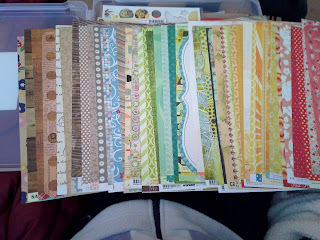 I hope that organizing them by color will help me cut into them and use them at last. Here are the backs in the same order. Interestingly, some of the patterns are still somewhat look like a rainbow. Lovely!! Great fun thing to do! I might copy you and look through mine again. It is amazing how much fun it is to look at paper :)! I loved seeing your great scrap room and even living there a few nights. We definitely have this in common! Enjoy. Ooops. I think I enabled more paper purchasing :) But the ones you got were pretty perfect if I do say so myself!